The traditional Halloween was a celebration of the harvest. Oftentimes, a family would assemble around a campfire to share ghost stories. Today, Halloween has morphed into a holiday celebrated by wearing scary costumes, trick-or-treating and haunted houses, but it still has roots in the harvest with events like the haunted hayride. The thing that scares most people off having a haunted hayride as a fundraising event is the idea of insurance, but it’s really nothing to shriek about. All you need to do is call your insurance provider beforehand to discuss the type of coverage you’ll need. It’s really quite simple. If the haunted hayride is taking place on your property (if you’re a farmer or someone who owns a few acres), you can put the insurance under your home insurance coverage. 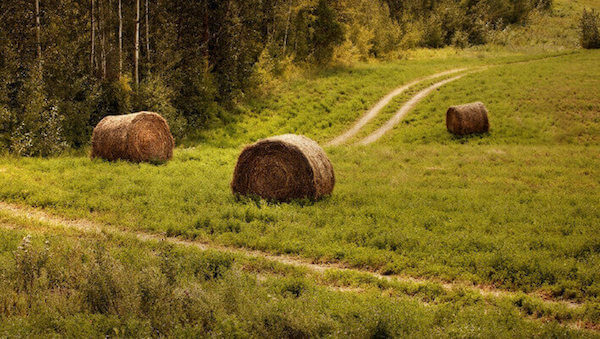 If the hayride is operating off-site, you will need to secure insurance with the location owner’s insurance company. Either way, you will need a policy that covers liability and damage based on the approximate length of your haunted hayride. Next, you’ll need to borrow or rent a truck with a flatbed or a tractor with a flatbed trailer attachment for your hayride. The flatbed and attachment should have rails so riders can enjoy a safe ride. You’ll also need to fill the flatbed with bails of hay for people to sit on. You might even choose to decorate your hayride with Halloween décor. Just make sure that you don’t use objects that can fall or roll onto riders, like pumpkins, unless they are secured tightly into place when the hayride is in motion. Construct various stations along the hayride route—a haunted house, snack/refreshment stand, a faux cemetery, pumpkin patch, corn maze, etc. The last thing you’ll need to do is get the word out about your Halloween hayride fundraiser. To do this you can easily take advantage of social networking sites like Facebook, Twitter, and blogs and forums associated with your charity cause. You can also post and distribute print ads at schools, community centers, churches and local companies. Any printed or electronic advertisements should include the date(s), time(s), cost per person, the location, and directions, parking information and even recommending appropriate clothing wouldn’t be a bad idea. In addition, it’s wise to schedule a rain date so that your haunted hayride doesn’t get frightened away by bad weather.